Manufacture of chains, steel ropes, fine chains and many more products in the range, which started in PÖSAMO - Řetězárna, spol. s r.o. in Holice in 1993. The know-how was taken from our German mother company Pötz und Sand GmbH und Co.KG, which has been producing chains since 1876. The long-term tradition of manufacturing chains and ropes makes us the best in our field. Our product range is very wide – from special chains, plastic chains, steel ropes to promotional logo key chains. Due to our effective logistics, we are also able to deliver your order in a surprisingly short time. The quality of chains is also demonstrated by the high demand. We manufacture non-stop 300-kilometres of chains every month throughout the year. Where do we go from here? Our aim is to be a responsible partner supplying good quality chains at short notice. 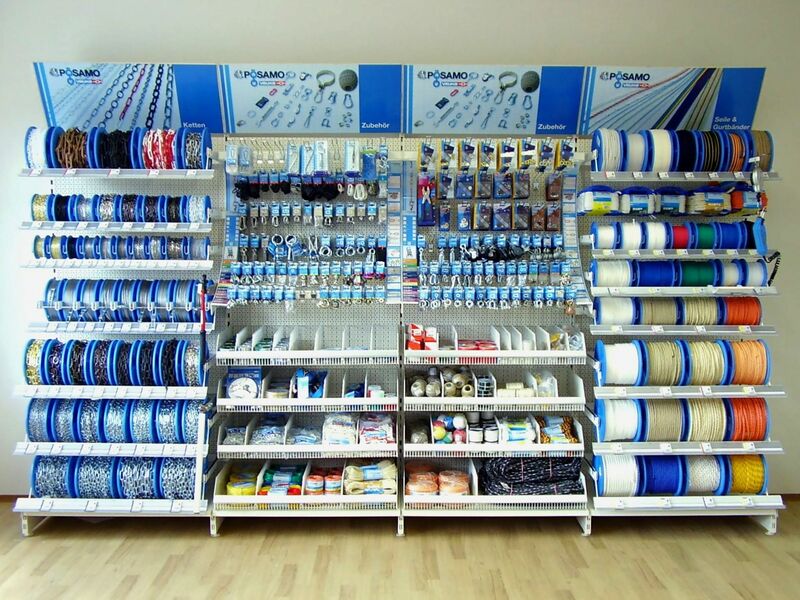 Our target is to supply all retail outlets and chain stores with our products.